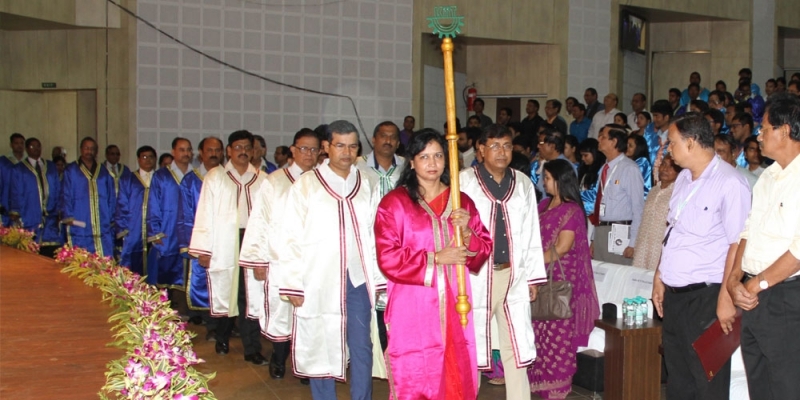 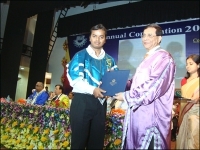 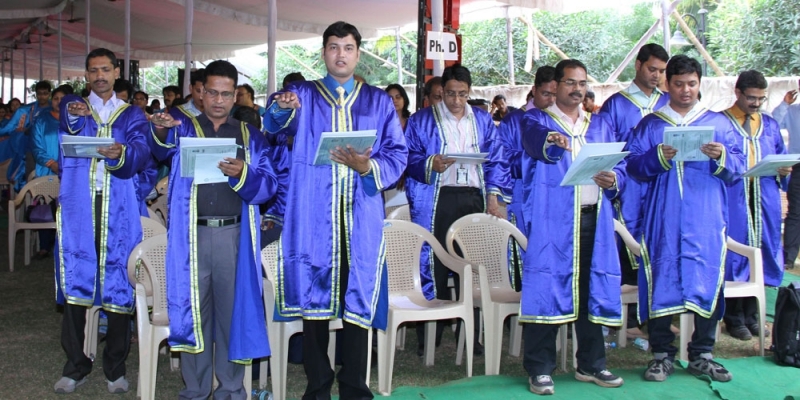 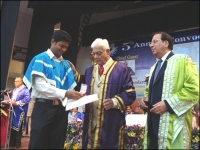 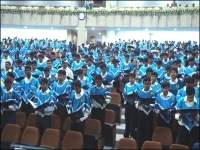 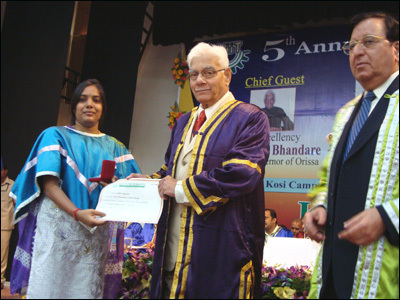 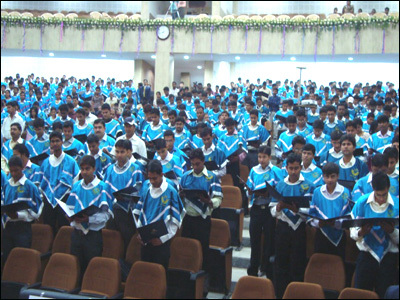 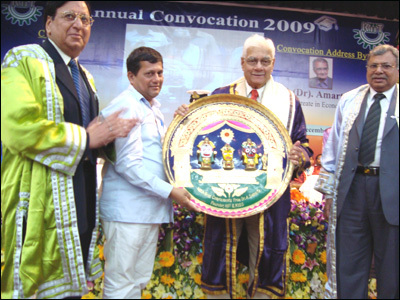 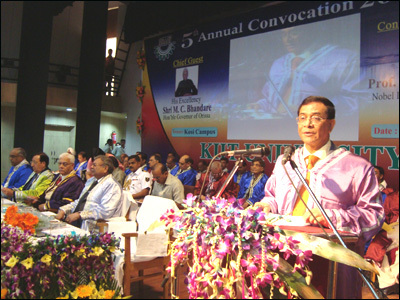 Total 1,557 graduates of 2009 batch of KIIT received degrees and diplomas at the Fifth Annual Convocation of KIIT on 6th December 2009. 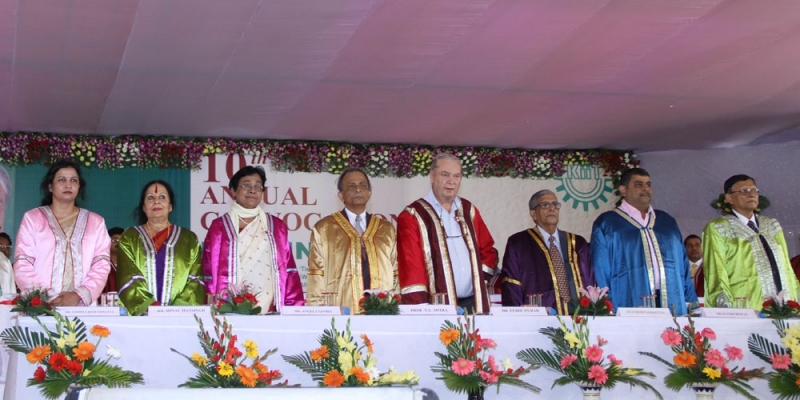 Shri M. C. Bhandare, His Excellency the Governor of Orissa graced the occasion as the Chief Guest, while Dr. Hari Gautam, Chancellor, KIIT presided over the ceremony. 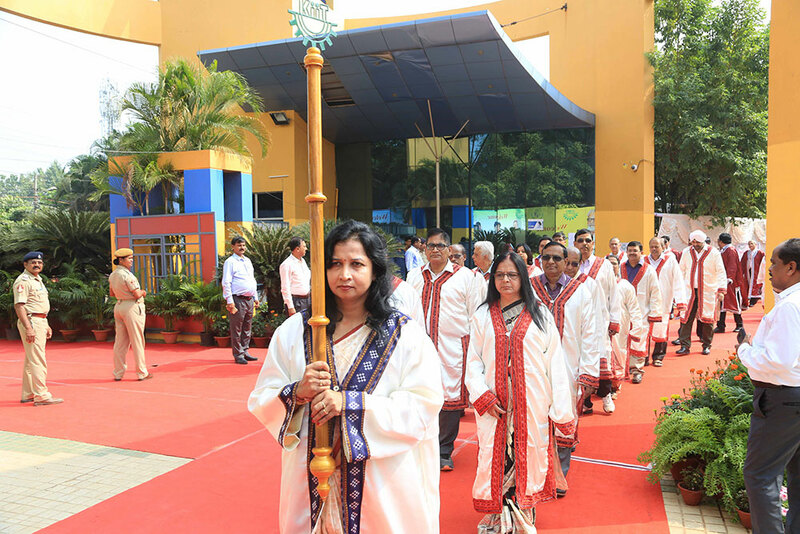 Speaking to the graduating students, Shri M. C. Bhandare, Chief Guest of the ceremony, reminded them of their responsibilities towards their parents and society at large. 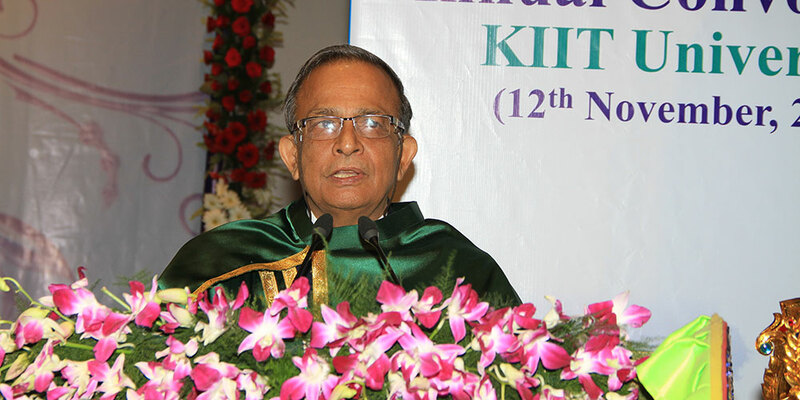 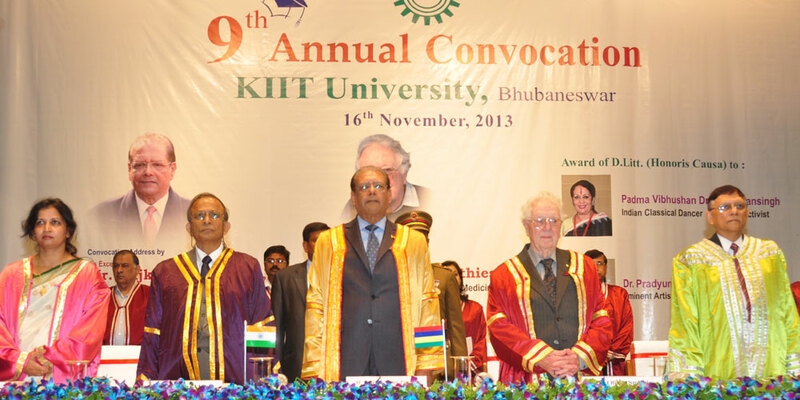 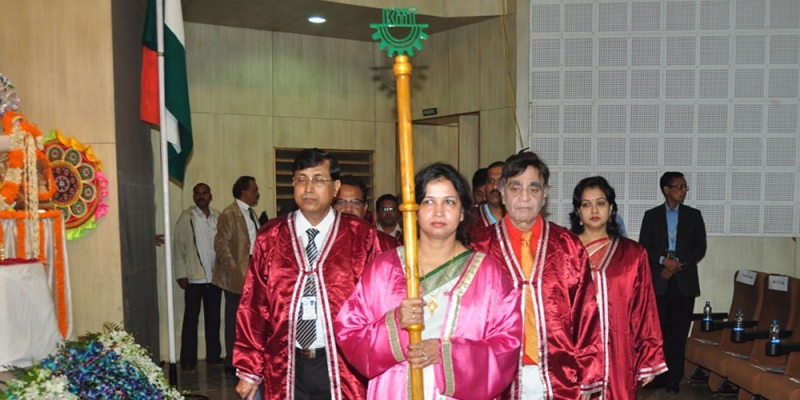 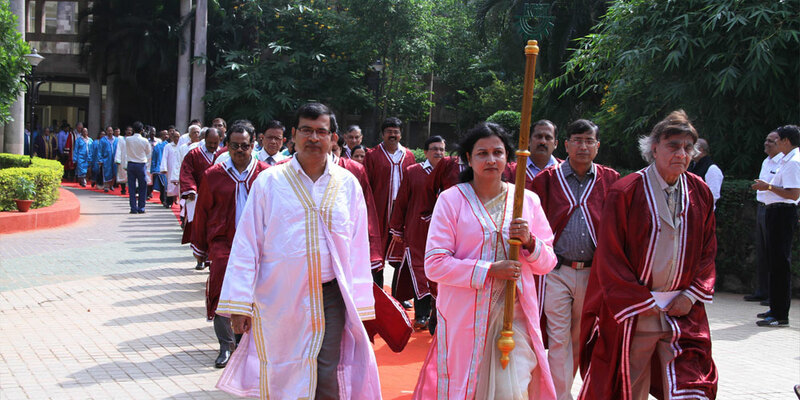 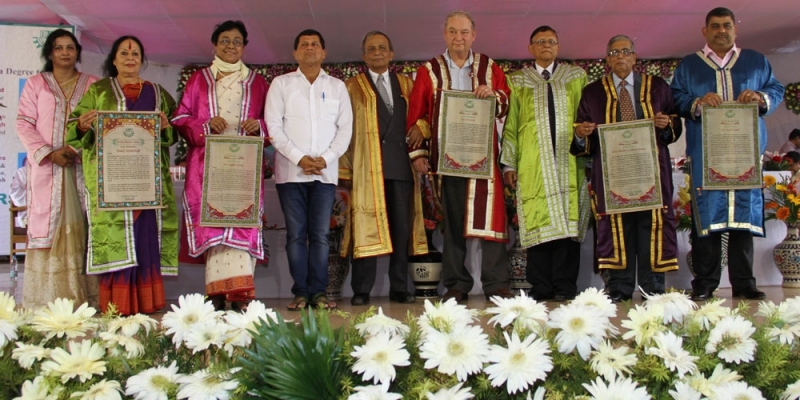 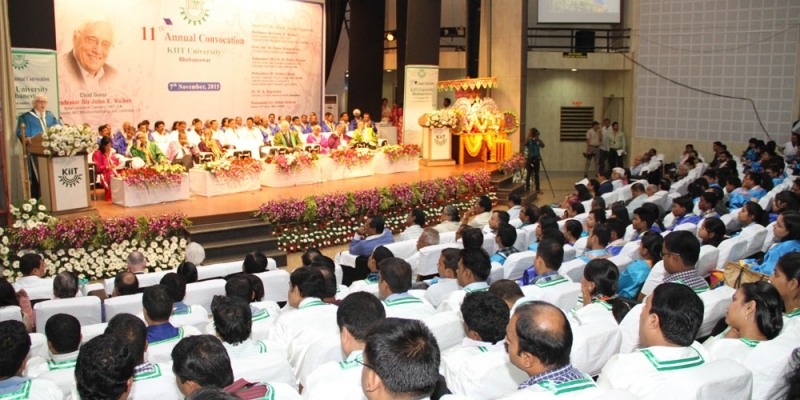 “KIIT uniquely synergizes professional knowledge with social values”, he said, while referring to Kalinga Institute of Social Sciences (KISS) as the institution’s human face and an expression of its social commitment. 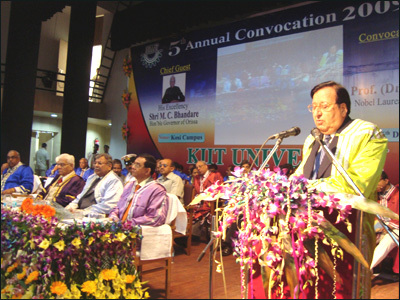 He advised the graduates to emulate the values of their alma mater and its Founder, Dr. A. Samanta. 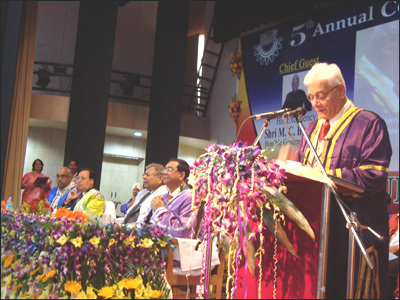 Delivering the presidential address, Dr. Hari Gautam urged graduates to utilize their knowledge and strength to uplift the socially-challenged, adding that this is the best way to pay back to their alma mater and Motherland. 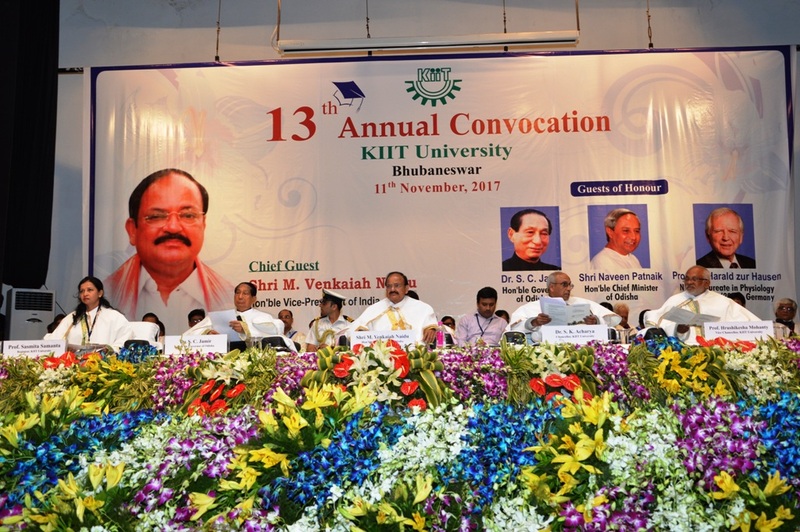 He expressed confidence that they will bring glory to themselves, the university and the country by their contributions. 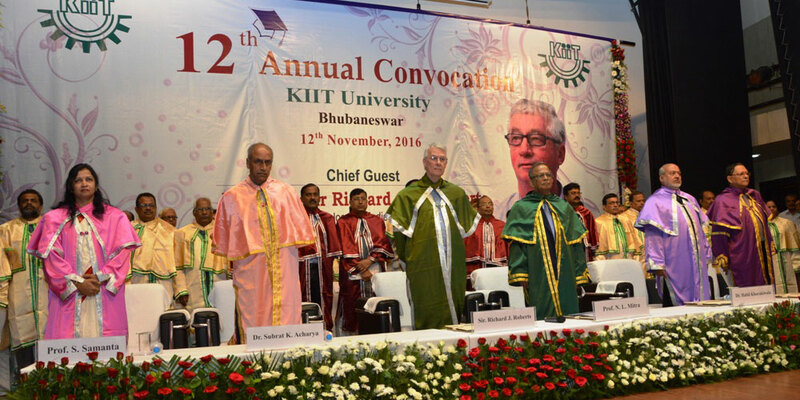 KIIT has stepped up its institutional and industrial partnership programme, informed Prof. S. C. De Sarkar in his Vice Chancellor’s Report, adding that MoUs have been signed with as many as twelve international universities. 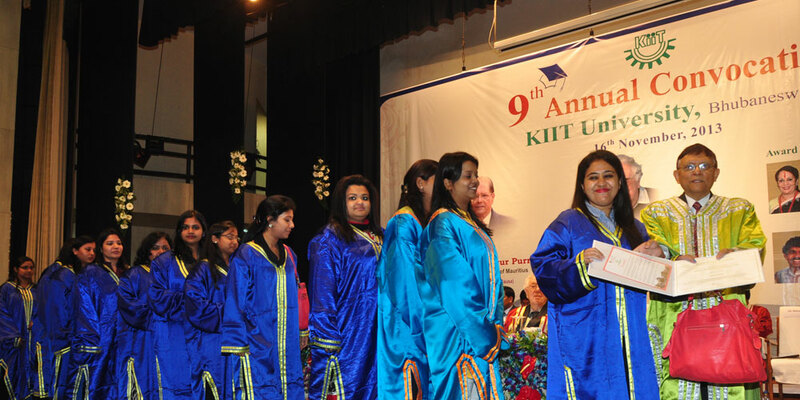 Two new schools – School of Fashion Technology and School of Film and Media Sciences – have been started in the current academic year, he informed.